The world's first connected bottle. 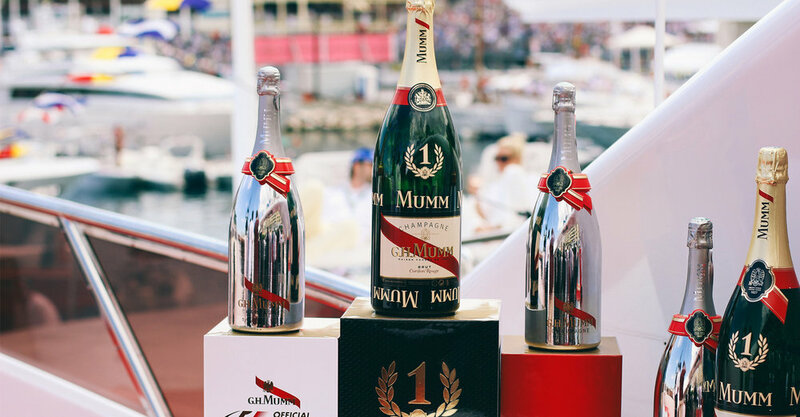 Since the 1800’s, French brand Mumm has been synonymous with quality. By controlling the grapes, it ensures that “nothing but the best” makes it into every bottle. It’s a brand steeped in tradition from the way the cork is popped to how it should be consumed. 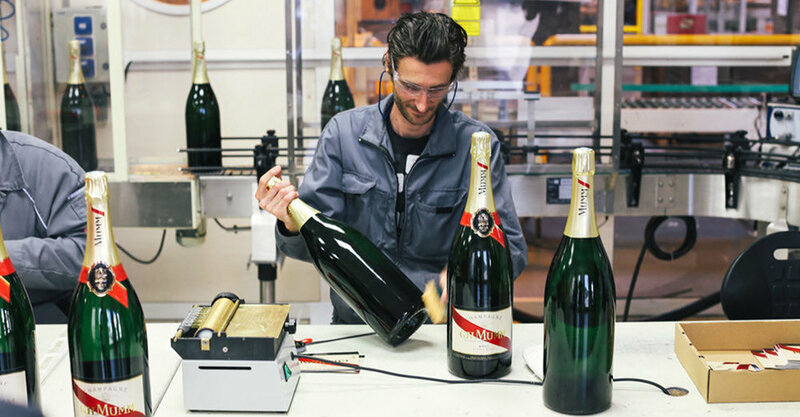 However, with a new generation of champagne drinker arising, the opportunity arose to re-invent these traditions in the form of the world’s first connected bottle. Putting the spotlight on you. Champagne has always been about celebration and showmanship. The moment the cork pops, all eyes turn to who’s holding the bottle. We wanted to capture that exact moment in this new connected bottle design. So at the precise moment a Mumm cork pops in a night club environment, all lights swing to face it. The user becomes illuminated and the screens behind them share a huge digitised record the moment the champagne starts to flow. 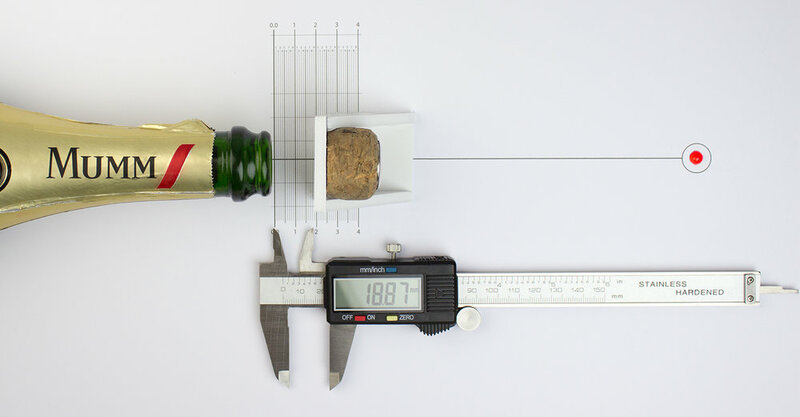 As we had to capture the exact second the cork pops out of the champagne bottle, it was crucial to understood how corks behave. We spent time documenting exactly the ‘point of no return’. In other words, that point when the cork has just loosened enough to continue out unaided. We designed an electronics package to accurately record this moment and to ensure that the club’s system was able to respond in time. Working with manufacturing partners across the world, we ensured that our adaptions would fit seamlessly into their workflow. 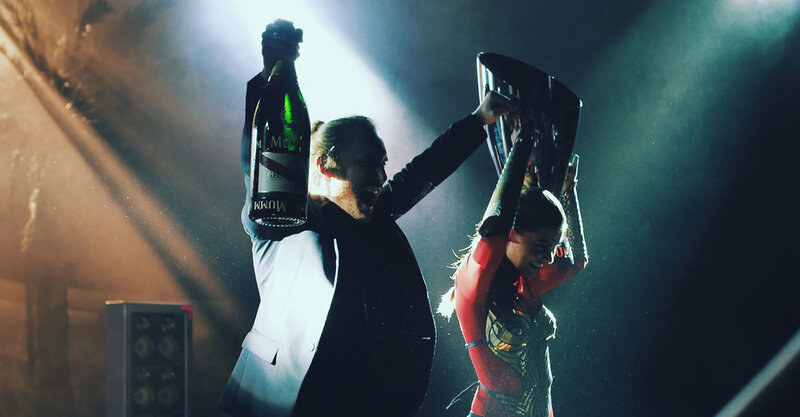 The connected cork was unveiled at the Monica Grand Prix and then went on tour with David Guetta shortly after. The musician Mark Ronson has become the face of the connected cork and it’s currently being used in clubs around the world.